You can purchase your lock directly from Network Locksmiths and Security. The keys supplied with your lock are for you to keep for your property as the Energex Meter Readers access the lock with an Energex Master Key. If you have lost your key, please contact us or call 1300 798 551 and we can arrange to cut you another. 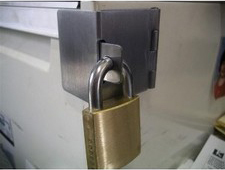 A range of locks are available, however the most common lock required is a padlock. 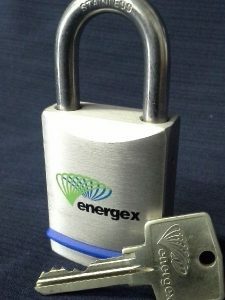 We supply Energex locks and keys to secure your property and allow access to Energex meter readers. 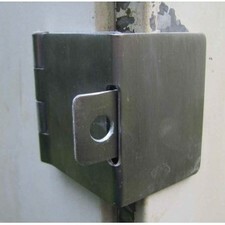 We can also help you with locking solutions for your meter box. 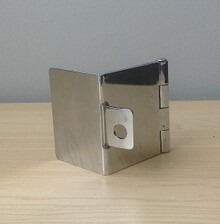 Suitable for meter boxes and can also be used to secure your filing cabinet. Made from stainless steel and secured with 3 x self drilling screws (included). Price per clasp $43.50 + GST (does not include padlock).